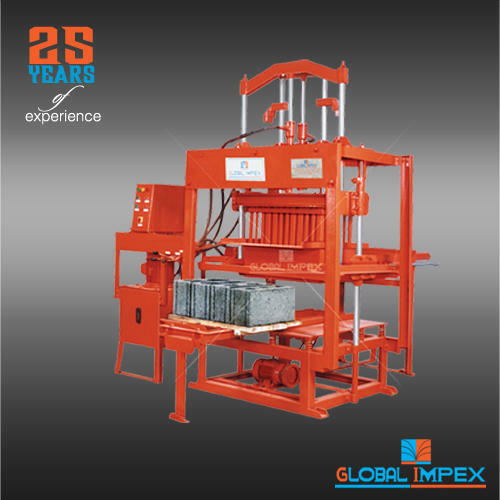 Global Impex is a leading Concrete block making machine, clay brick making machine, Paver Block Making Machine and all types of construction machines manufacturer and exporter in Coimbatore, India. Since 2003, We are first ISO 9001-2008 company in India, dealing in world-class construction machinery and engineering products. We provide a wide range of construction machinery and equipments as both conventional and modernized systems, specializing in construction machines like concrete block making machines, concrete mixer machines, paving block making machines and all types of construction machines & equipments. With a proven track record of manufacturing and supplying quality products on time, we have established ourselves as a leading organization in the fields of Construction and Engineering Equipments in India. We are the leading exporter in India.